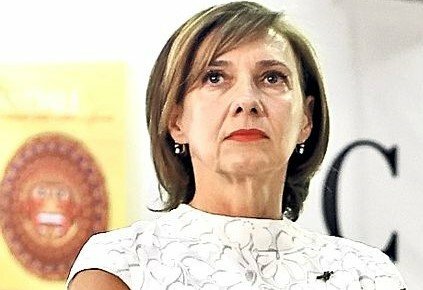 First lady Carmen Iohannis has been subpoenaed on Monday to the Prosecutor General’s Office in a file opened following a denouncement regarding the money collected by renting an apartment house, but the President’s wife has failed to come to the hearings. She was expected to the hearings at about 16.00h, but her attorney arrived instead to file documents reading that Carmen Iohannis cannot come due to medical reasons, ziare.com reports. It is the second time Carmen Iohannis fails to attend the hearings at the Prosecutor General’s Office as she had missed the first one on November 15. 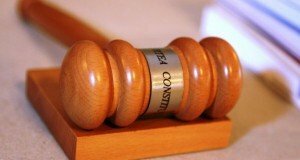 The file has been opened by the Prosecutor’s Office upon the High Court of Cassation and Justice following a complaint filed against a notary public in Sibiu, Radu Gabriel Bucsa and against the Iohannis spouses, Carmen and Klaus Iohannis. The file is related to their actions to acquire two houses downtown Sibiu starting 1999. The buildings were in the state property and were managed by the Sibiu City Hall, which was led by Klaus Iohannis during 2000-2014. 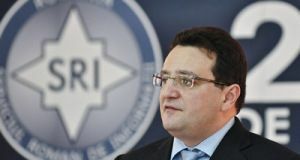 The complaint mentions that, following the rent cashed in from one building, Iohannis and his wife had obtained EUR 320,000 until a court in Brasov cancelled the real estate document on the house as well as the inheritance papers on which basis the house had been taken over from the state patrimony.